Long gone are the days when you have to constantly stand over a grill in the blazing heat to continually check your meat and guess whether it’s ready. 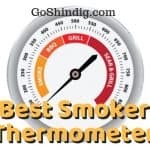 We now have an assortment of different thermometer types at our disposal and the best Bluetooth thermometer is just one type of outdoor cooking thermometer we have written about. This means that you can now just kick back with a beer, without anymore guesswork or standing around the grill. In our series on thermometers, we have broken down these gadgets into three main subsections, instant read, dual probe, and infrared. Bluetooth thermometers fall into the category of dual probe thermometers and are mainly used for low and slow grilling or smoking. Before telling you what I believe to be the best Bluetooth thermometer, I have to confess that I’m not the biggest fan of these types of thermometers. I’d strongly recommend that you look at other wireless thermometers before deciding Bluetooth is the technology you wish to go for. 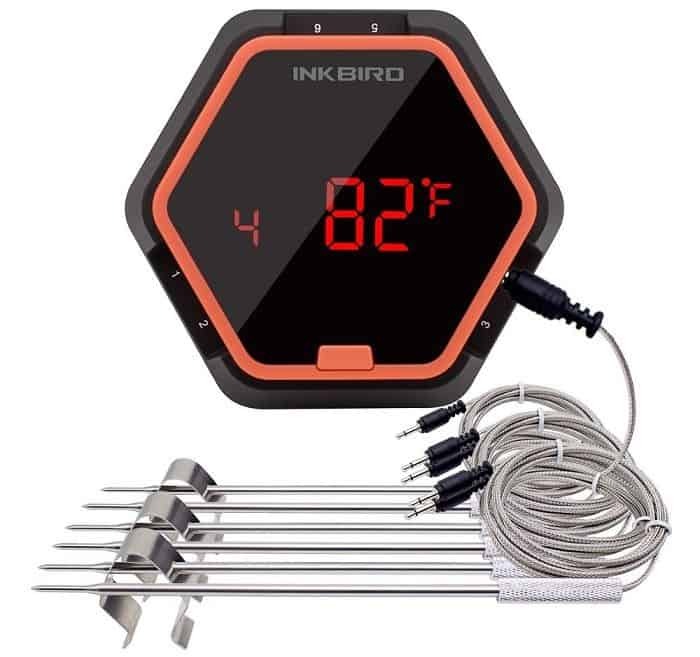 The Inkbird Bluetooth thermometer comes with two or six probes. 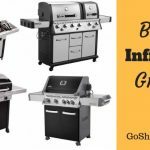 Which one is best for you obviously depends on how you normally grill but I’m rating the six probes as the best Bluetooth thermometer as this gives much more flexibility. Yes, the two-probe is cheaper, and if you plan to only cook outdoors for a couple of people once a year then this is the better option. But I know that BBQing, grilling, and smoking is addictive. So I’d recommend getting the better model from the start, as I’m sure it’s only a matter of time before all you new outdoor chefs move on to more elaborate cooks. As is always the case when you buy anything BBQ related with the Weber name, you know you are buying something of quality and with good customer service (but this buyers confidence normally comes with a higher than average price tag). Weber are currently on their third iteration of the iGrill and have simply called it the iGrill 3. 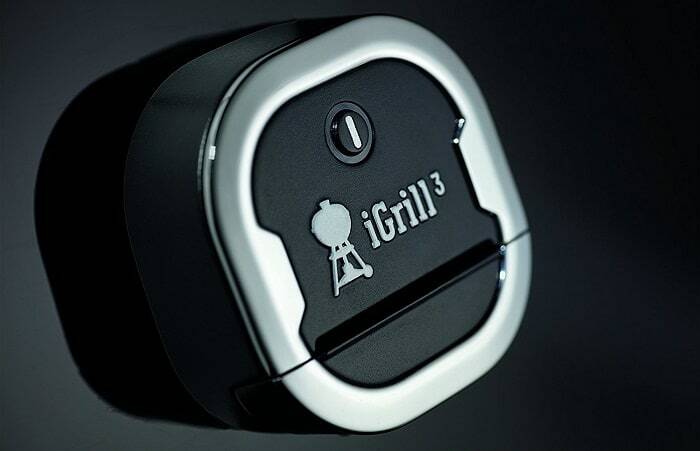 If money is an issue you can get the iGrill 2 as this is also a great product that can now be bought cheaper as it’s not the latest model. 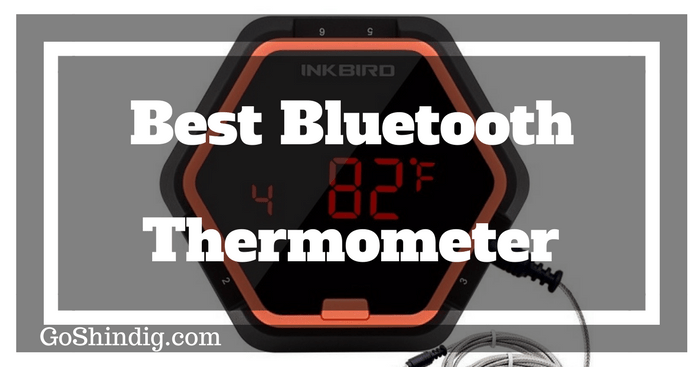 But as I’m writing about the best Bluetooth thermometers than the iGrill 3 is second in this list. I felt writing a best Bluetooth thermometers list at least needed a top 3, but I couldn’t really bring myself to giving a thermometer third place. If possible, only buy one of the thermometers already mentioned. If not, then the best of the rest is between the Cappec BTH02 or Maverick ET-735. As with most Bluetooth devices, you expect a little trouble with connection, but other than the Inkbird and iGrill all other brands seem to have more issues. Which was very disappointing to see from Maverick, as many of their other thermometers are of the highest quality and I have no issues at all recommending them. The most obvious pro for a Bluetooth thermometer is that it connects to your phone. Giving you a nice app to display and store data on a device you are comfortable using. So it might surprise you that I’m also going to list connecting to a smartphone as one of the cons. Many people in the 40+ age group aren’t as comfortable on phones, which is clearly a problem when recommending a thermometer. But even for tech-savvy people being connected to your phone still has issues. You can’t ask a friend to look after your grill while you pop down the store unless you also leave them your phone. Also, if you lend someone the thermometer, it’s not as easy as just handing it over. You also have to explain the app that they need to download. Another con is that I find it tricky to pair thermometers with my phone. It is only something that needs to be done once, but it just isn’t as easy as buying a wireless thermometer using different technology. And last, but one hundred percent not least is connection issues. Bluetooth does not seem very good unless you connect over a short distance and have no obstacles in the way. Which kind of defeats the point of being wireless, as you’d like to walk around the house and still be able to keep an eye on temps.